The ninth annual Women’s Conference: From Tragedy to Triumph and Still We Rise: Success Inside and Out, provided 150 incarcerated women at Mission Creek Corrections Center for Women (MCCCW) with resources needed to be successful upon their release. The event is a partnership between Washington State Department of Corrections (DOC), The National Association of Women Judges, Tacoma Community College and the Supreme Court’s Gender and Justice Commission. The event also included roundtable discussions with judges on issues such as legal financial obligations (LFOs), restoring civil rights, domestic violence protection orders (DVPO) and court payment options. The judges at the women’s conference have seen firsthand the need to stop the revolving door into their courtrooms. They recognize a female inmate’s desire to succeed upon release may not be enough. 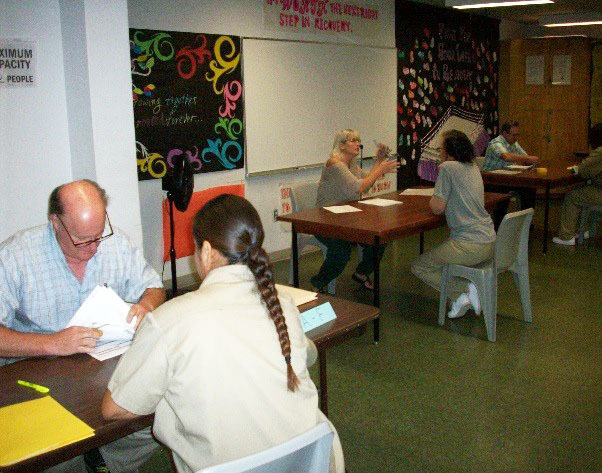 Therapeutic court programs have prompted many judges to step outside the tradition of a passive judicial model and reach out to actively help inmates who cycle through the justice system. The judges, in partnership with other professionals in the community, provide mentorship and support to the women in anticipation of their release. The event also featured a resource exhibit hall that provided information from several agencies and community organizations that enable women to have access to services that will prepare them for their transition back into the community. Some of the exhibitors in attendance were: Oxford House, Revive/Re-Entry Services, Goodwill Job Training, FareStart, Veterans Services, Reentry Division, ANEW, and Renton Technical College. The overall goal of the conference was to ensure each woman walked out of the event with her head held high, with the resources in her hands to succeed, knowing that there is light at the end of their tragedy, and triumph is theirs to obtain.